Trench Preventative Health Services – Trench Health and Fitness has introduced 6 new preventative health services using cutting edge diagnostic technology. Dexa Screening – Our Dexa scanner is one of only a handful of machines in WA providing and the most comprehensive lean mass, fat and bone mass scan available in the market. No better way to kick off your new health regime after the winter months. 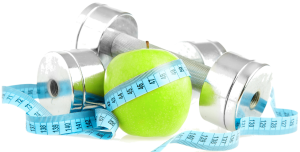 8-week rapid weight loss program – Our medically developed weight loss program will blitz your body with increased physical activity and a controlled diet. It’s a proven weight loss model with outstanding results. Clinic Dietitian – Dietitians Dr Emily Calton and Courtney Glass have joined our team to work with participants in the rapid weight loss program together with clients looking at improving their eating habits to lose weight. RMR testing – Map your metabolism and tailor your exercise and dietary intake with confidence. VO2 max testing – This ‘gold standard’ test is the most comprehensive test to analyse your fitness levels and a great ‘before’ and ‘after’ tool if your health goals are focused on increasing your aerobic capacity. GP Chronic Disease Management Plans – Trench’s team of Exercise Physiologists, Dietitians and Physiotherapists have Medicare Provider numbers to assist in the care of patients who have been put on a GP Chronic Disease Management Plan (CDM). 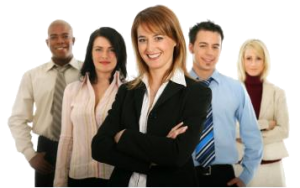 Current research has shown an irrefutable link between staff health and productivity. For every dollar invested in a health and wellness program your organisation will enjoy a return on investment of between $3 – $10. It is our vision and passion to provide innovative health and wellness programs in order to facilitate change. We are about partnering with companies to help improve the health and wellbeing of staff. We are not just about delivering a service, we aim to help our clients make lasting lifestyle changes through coaching and motivation over time. 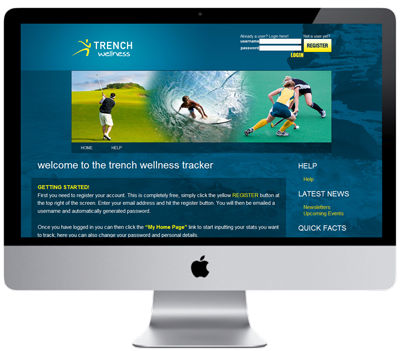 Trench have a wide range of corporate health options, ranging from one off presentations, classes and blood pressure checks, through to comprehensive tailored annual wellness programs for your workplace. With the aim of strengthening workplace relations, improving staff performance and ultimately enhancing the health culture of your workplace. At Trench we have been spending the past year building and developing custom online software to enhance our clients experience with us. We have three online programs dedicated to offering a friendly competitive element to exercise and making healthier lifestyle changes. These programs are an excellent way to bridge the gap between staff across multiple offices located in both rural and city locations. 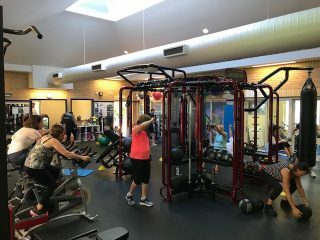 Trench Health and Fitness have a fitness studio in Shenton Park, located inside the Arthritis WA Centre. We also service and manage a number of workplace gyms in the Perth CBD. Want More? Check out our Whats On Weekly page for the latest workouts, healthy recipes and more!